Some of the most popular window treatments today, honeycomb shades are designed to be both beautiful and functional. Their crisp pleats enhance any room’s décor, whether it is traditional or contemporary. With the variety of colors and styles from which to choose, homeowners can select a color to blend with the walls or to match other furnishings in the room. 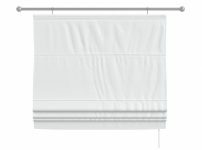 Honeycomb shades are shades that are pleated with a cell-like design, combining two fabrics into one. Soft yet durable, these shades come in a variety of colors and designs that can be sheer enough to let in sunlight or opaque enough to offer complete privacy and darkness. Mounted inside the window frame, the shades can be used with other drapery to finish the look or left as is to offer a sleek, contemporary vibe. Where Are Honeycomb Shades Most Commonly Used? Honeycomb shades can be used in every area of the house from offices to bedrooms to kitchens because the simplicity of these shades blends with all décor styles. In bedrooms, blackout shade fabric can be used to darken a room for a more restful night’s sleep. Used in media rooms, blackout shade fabrics will also cut the glare, eliminating the need for an anti-glare screen or other equipment. Sleek and sophisticated, shades can be custom made to fit any size window and are the perfect solution to the problem of a room with lots of windows in different sizes. Use them to cover an entire wall of windows without overpowering the room with fabric colors and patterns. 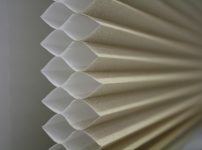 There are many benefits to installing honeycomb shades in your home. First of all, honeycomb shades are very energy efficient because, depending on the choice of fabric, they are able to block solar energy and add insulation around your windows, keeping out the summer heat and winter winds. Lowering your heating and cooling bills make them budget-friendly. Speaking of budgets, honeycomb shades can stand alone with their sophisticated style and variety of colors without needing any other fabric window treatments to complement them. The sleek look won’t interfere with any of your decorating choices, thereby potentially eliminating the cost of additional drapery. In addition, because the pleats compress to just a few inches, these shades will never block your view. Pull them up and out of the way to enjoy the scenery. Honeycomb shades can be mounted at the top and bottom of the window frame, so they can be raised or lowered from either direction to give you a variety of looks. Ready To Order Honeycomb Shades Today? Honeycomb shades are excellent window treatments for any room. If you are thinking of installing them in your new home construction or just want to update your current space, please contact us at Vogue Window Fashion to learn more.